Officer Cody Hardy shows the contraband. Corrigan PD's acquistion of Officer Hardy sends a message that they're serious about going after illegal drugs and dealers. 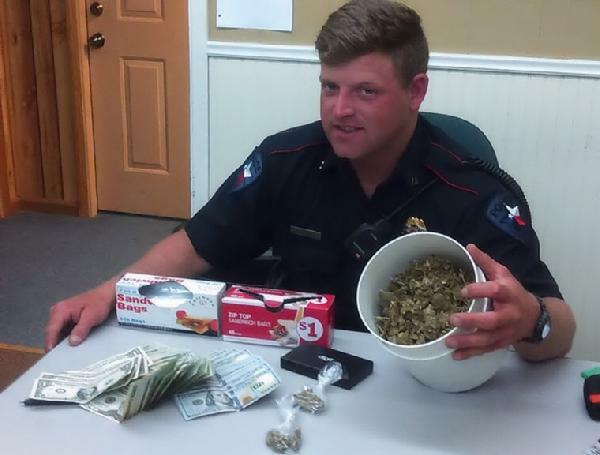 Bucket 'O Marijuana, Driver Facing Felony Charges, CORRIGAN, April 16, 2016 - At approximately 2:30 am on April 16, 2016, Officer Cody Hardy with the Corrigan Police Department observed a silver Buick LeSabre north-bound on US-59. Officer Hardy noticed that the car was weaving. Hardy initiated a traffic stop and spoke with the driver, Gregory DeWayne Wright, 50, of Houston. Hardy asked Wright where he was going. Wright stated that his cousin was originally driving the vehicle and that his cousin had been arrested for DWI in another town and that he was allowed to drive the car. Wright stated to Hardy that he was driving to Houston (but he was NORTH-BOUND). While speaking with Wright, Hardy smelled the scent of alcohol. Hardy instructed Wright to step out of the vehicle. Hardy was able to determine that Wright had not been drinking. Hardy did notice that an open can of Bud Light and an open bottle of gin in the back seat of the car. Hardy asked Wright if he was aware that it's illegal to drive with an open container of alcohol in the cab of a vehicle. Wright said that he wasn't aware of such a law. Hardy then stated that he'd put the beverages in the trunk for him and right him a warning. Hardy took the keys, opened the trunk and immediately noticed two small baggies of marijuana and a scale commonly used by drug dealers for weighing illegal drugs. At this point, Hardy radioed for backup and was quickly joined by fellow officer, Steve Cooper. With adequate backup, Hardy then stated to Wright what he found in the vehicle's trunk (baggies of marijuana). Hardy read Wright his Miranda rights and placed him into the back of his patrol car. 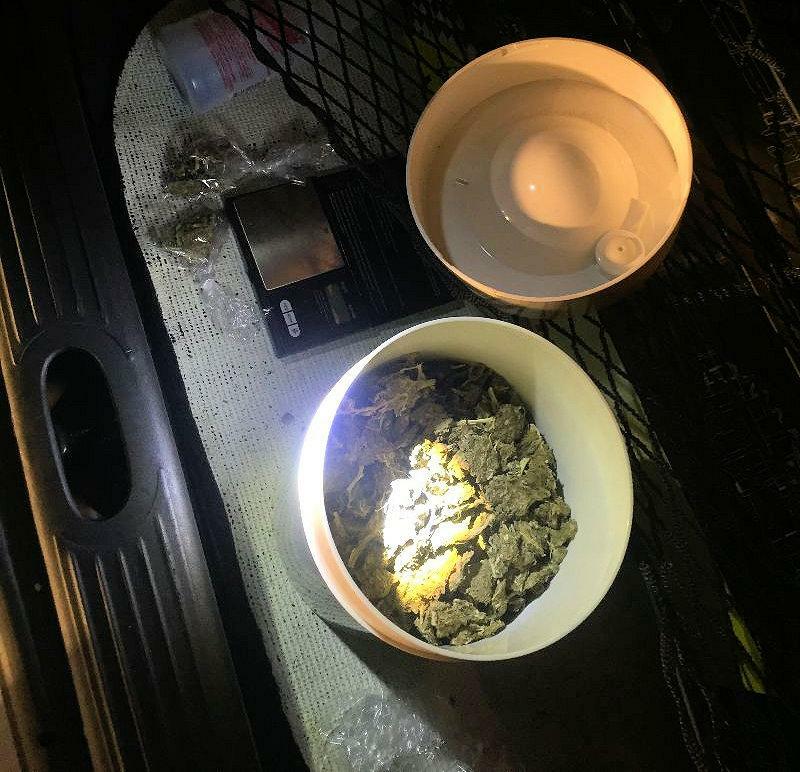 During vehicle inventory, Hardy found a small bucket that was filled with over a pound of marijuana. Wright was transported to Polk County Jail and is being charged with felony possession of marijuana. Wright's vehicle was towed by Riley Wrecker Service and will be stored in Corrigan. 50 year old Gregory DeWayne Wright, of Houston, stated that he was driving to Houston (even though he was north-bound on 59). A photo of Wright's trunk shows a bucket of marijuana, baggies of marijuana, and scales. 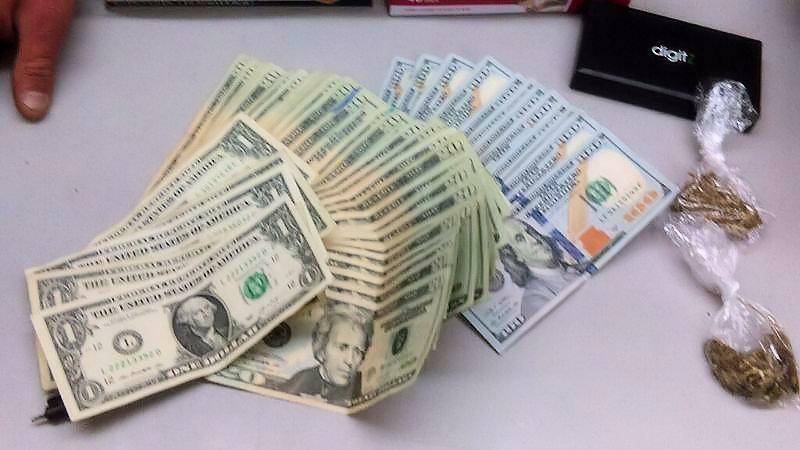 In addition to a large amount of marijuana, baggies, and scales, wright was in possession of a large sum of cash (typically, this is consistent with drug dealing).